Andrew Bogut is trying to find a silver lining in the Warriors' disastrous Game 2 performance Monday night against the Clippers. The Golden State big man described the atmosphere in the team's locker room after the Clippers won, 135-131, by chipping away at the massive 31-point lead the Warriors once had. "It was a fiery locker room after we let the game slip against the Clippers. 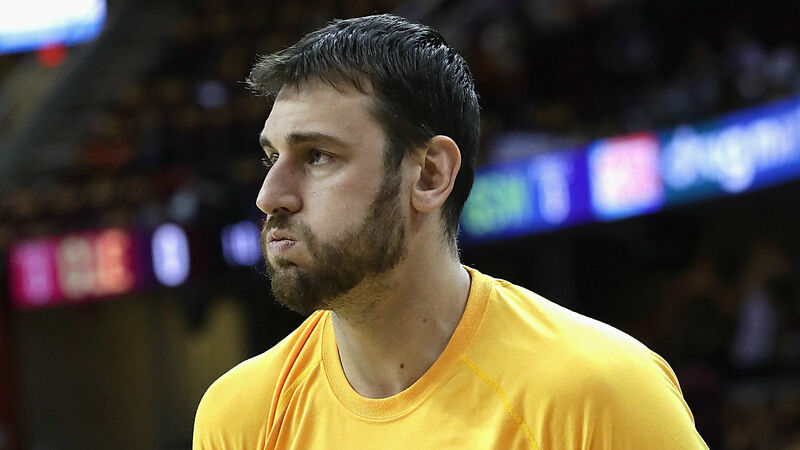 ... We were pissed off about it and we need to get better," Bogut wrote for Yahoo Sports Australia. "But I think that’s a good thing. If it was quiet in the locker room after a game like that it wouldn’t be a great sign." Bogut described how the Warriors got too comfortable, which the Clippers took advantage of. He said it wasn't until Los Angeles was within 10 points that the sense of urgency hit Golden State. "They’ve done their job in winning one on the road and it’ll be tough going back to LA at 1-1, but they have to beat us four times out of seven so we feel like we’re still in a good situation," Bogut wrote. "It’s a good wake-up call and all we can do is focus on Game 3 and make sure we come out with the right mindset and win." Bogut also addressed the loss of DeMarcus Cousins, who sustained a torn quadriceps muscle in the game. The prognosis wasn't great for Cousins, but the Warriors expressed optimism that Cousins would be back later in the postseason should the Warriors make it that far. Bogut didn't get too far into expressing that same optimism, but said the team wants to win more than ever for Cousins. "We want DeMarcus healthy and playing and to see the way he went down after coming back from his Achilles injury – all the rehab and getting through those dark days and to finally get back on the court – you feel horrible for him," Bogut wrote. "We’re all disappointed and feel for him, but we now have to go out there and try to win for him." The Warriors will head to Los Angeles to face the Clippers in Game 3 Thursday and Game 4 Sunday. If things go their way, they will have to face the Clippers only one more time at home next Wednesday in Game 5.